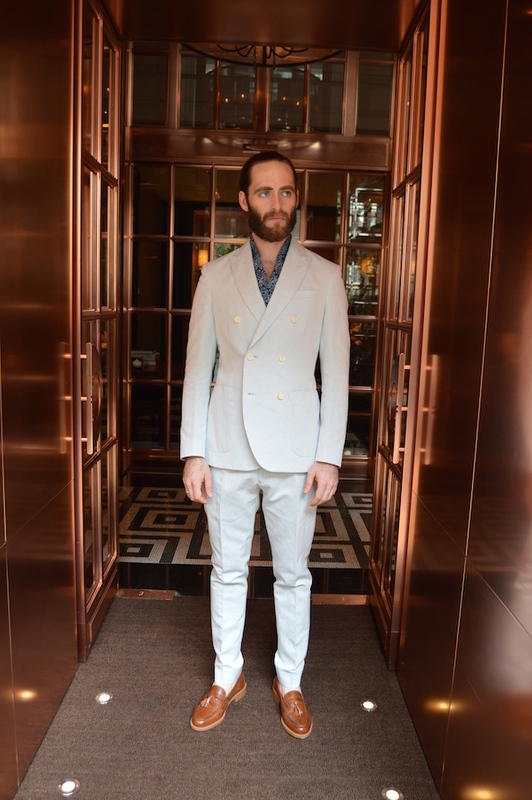 With the newly appointed Gianni Colarossi taking over as Creative Director, Duchamp ushered in a new chapter with their SS15 show. 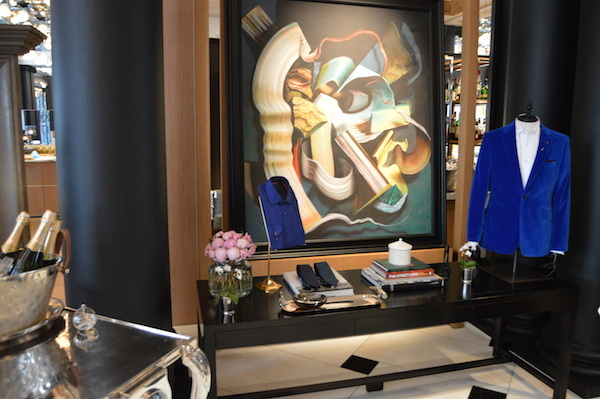 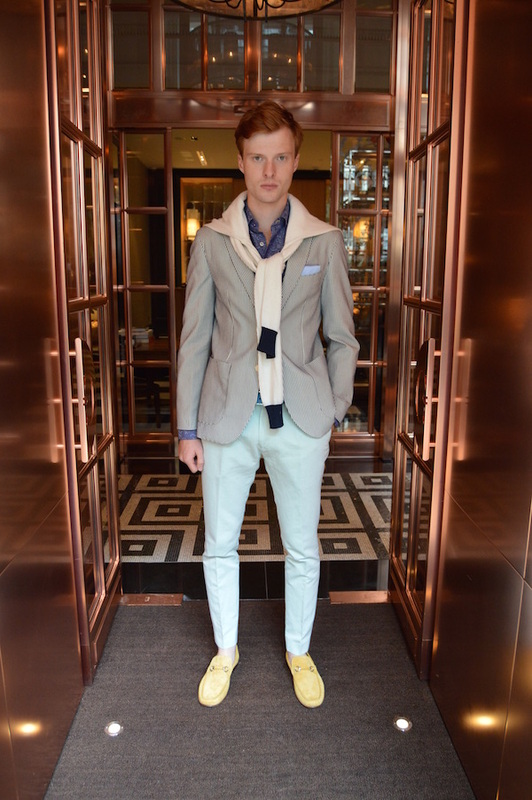 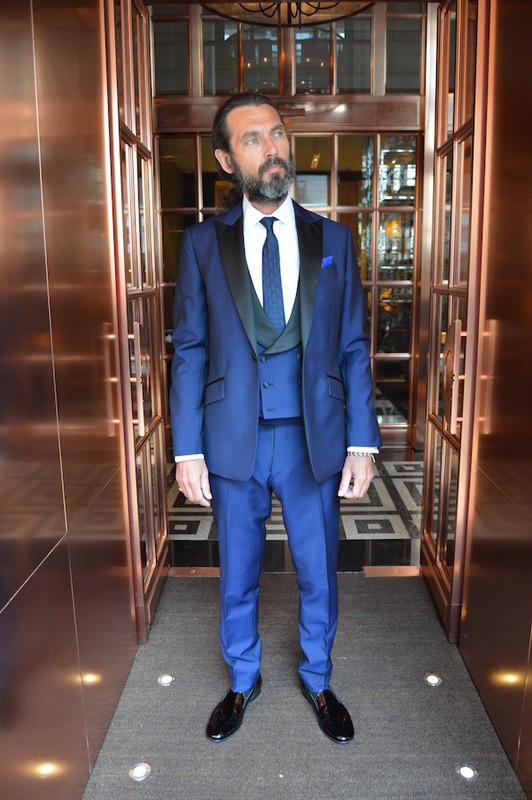 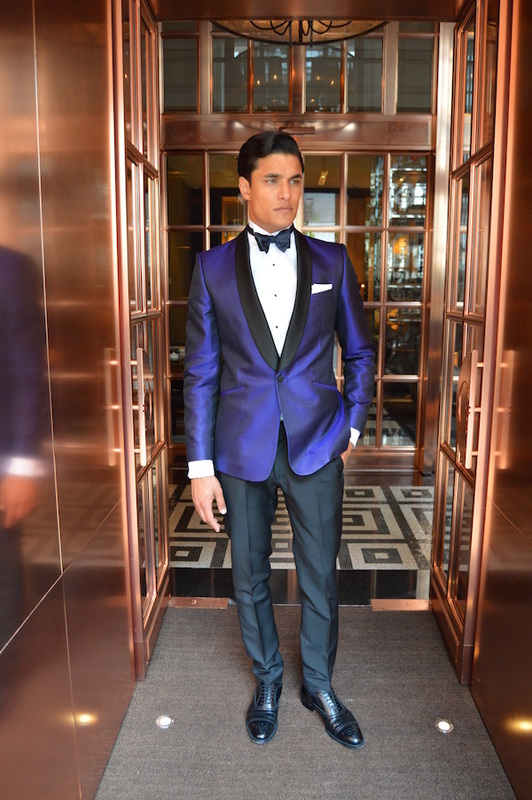 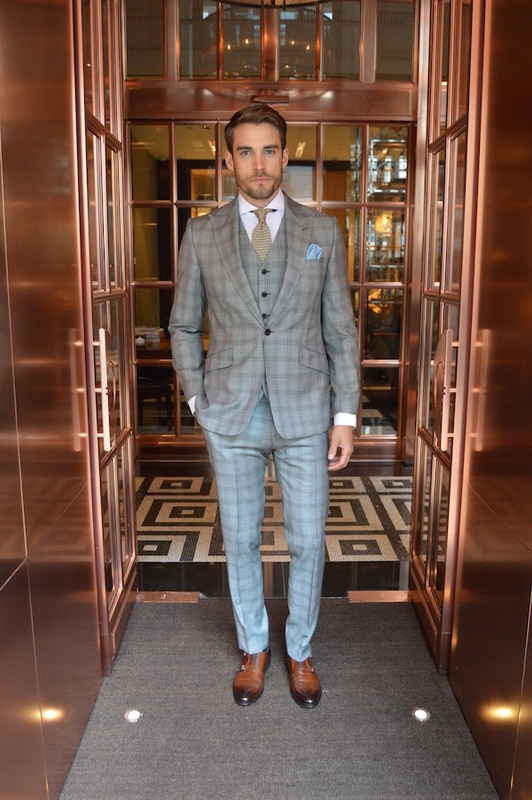 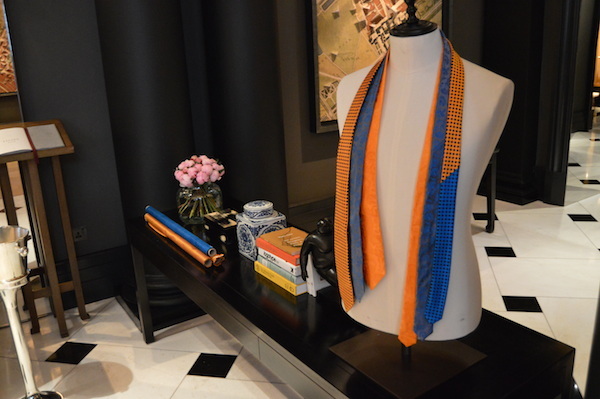 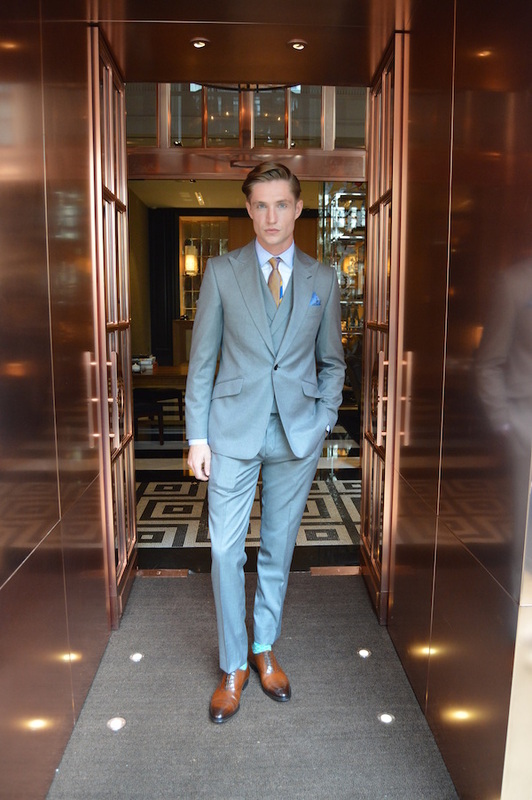 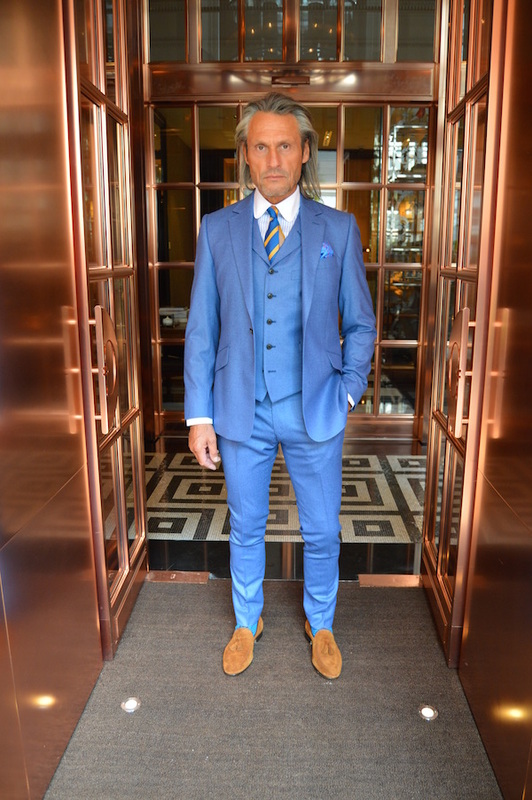 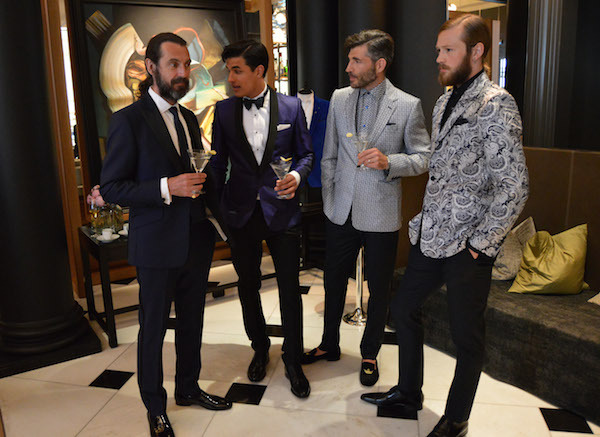 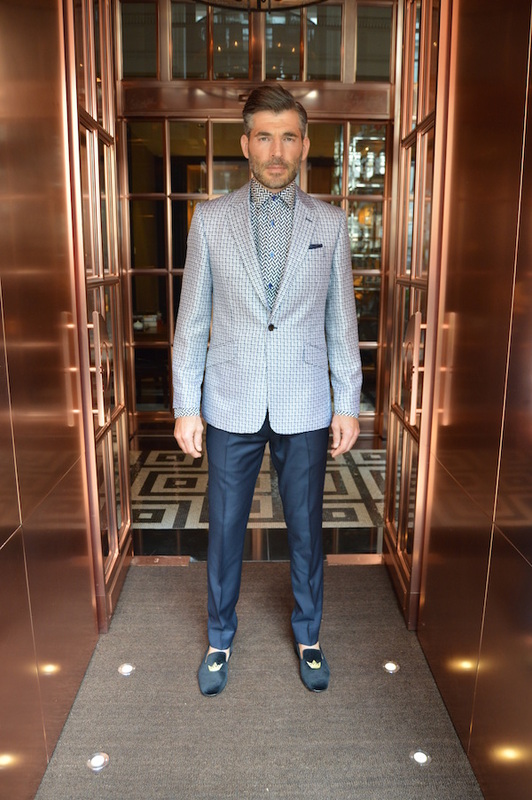 Set in the elaborate surroundings of the Rosewood London Hotel, guests were free to peruse the brand’s classic tailoring, donned by models that lounged on (and around) the plush furniture. 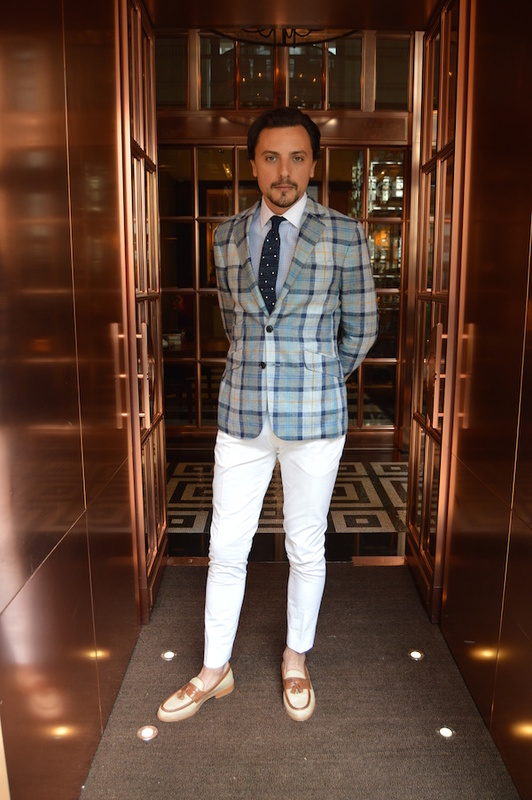 Focusing on three ‘stories’: elegant English gentry, contemporary Riviera and summer eveningwear, Duchamp’s collection was the epitome of craftsmanship and eclecticism – with English, Scottish and Italian fabrics highlighting Colarossi’s personal heritage and experience in the industry. 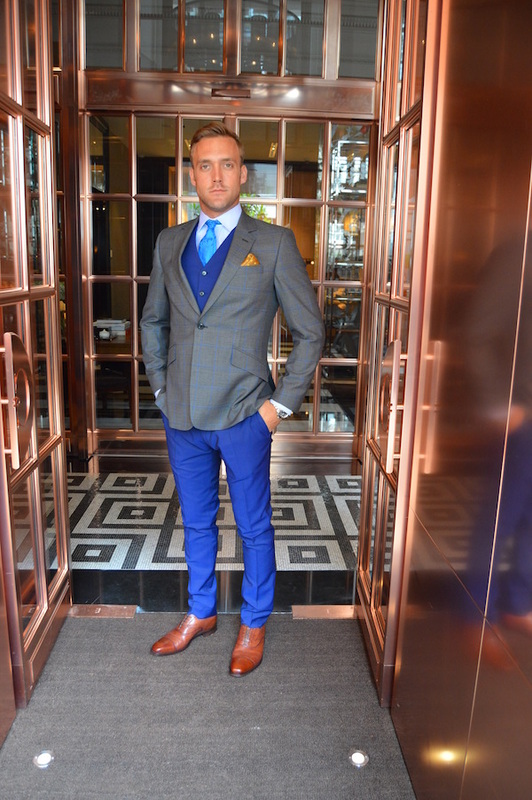 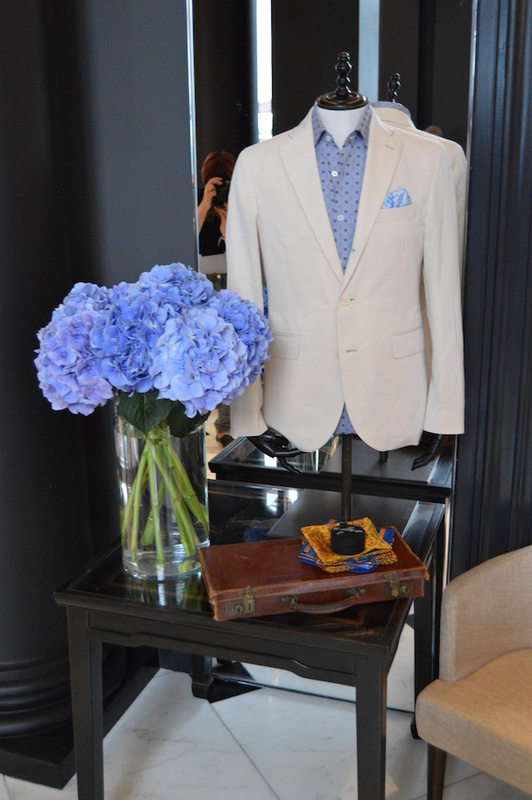 Single-breasted peak lapel suits in lightweight wool were adorned with quirky pocket squares in rich yellows and vibrant blues, while pastel coloured linen trousers accompanied kaleidoscopic print paisley scarves. 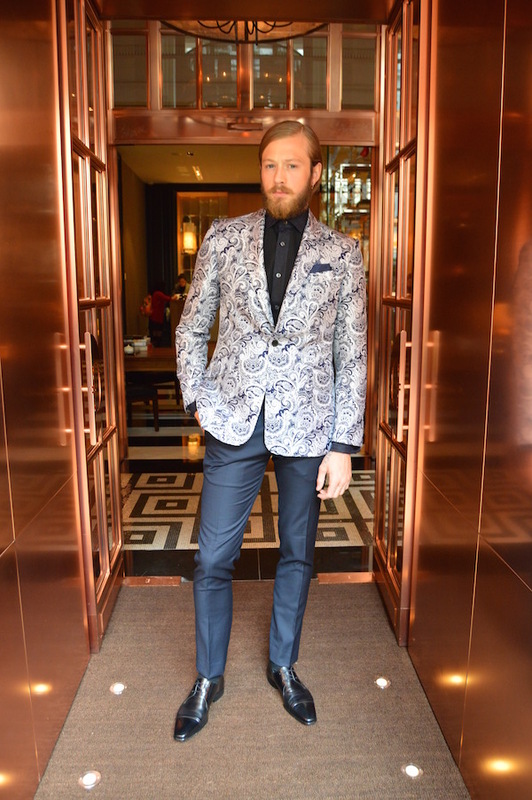 The evening suits oozed luxury with lightweight velvets and printed silk shirts standing beside jackets in diamond spots – offering a quintessential English eccentric spin.